Central Ohioans now have even more options for supporting a great cause while sipping their morning java. 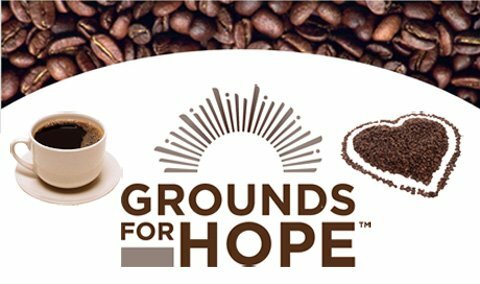 We’ve added single-serve coffee capsules to the line of “Grounds for Hope” coffee we roast for Cancer Support Community Central Ohio. We’ve also reintroduced the popular Seasonal Blend for the holidays. Organic House Blend, which boasts a smooth, nutty flavor with beans from Central America, Indonesia and Africa. Organic Dark Roast, with its intensely rich and full flavor, originates in Central America and Indonesia. Organic Decaf, a decaffeinated version of our House Blend, can be enjoyed day or night. Seasonal Blend is creamy and sweet, flavored with cinnamon and cinnamon sticks. These first-quality organic beans are hand-roasted in small batches to deliver a consistently delicious cup of coffee. Each bag sold delivers a $3 donation to the Cancer Support Community of Central Ohio. The single-serve capsules allow you to brew “Grounds for Hope” House Blend in major single-serve home brewing systems. Ten recyclable coffee capsules come packaged in a 100 percent biodegradable bag. Every bag of single-serve capsules generates a $2 donation to the Cancer Support Community of Central Ohio. Crimson Cup Founder and President Greg Ubert sits on the Board of Directors for Cancer Support Community Central Ohio, which is one of 62 chapters of Cancer Support Community, a national non-profit organization dedicated to providing free emotional support, education and hope for people with cancer and their loved ones. As the roasting partner for Cancer Support Community Central Ohio, we’re proud to bring you these great coffees for a great cause. Drinking “Grounds for Hope” coffee helps to ensure that no one ever has to face cancer alone.